From the kitchen of One Perfect Bite...If you like a not too sweet cookie with your coffee or tea, you'll enjoy this lovely treat that's reminiscent of the sesame seed cookies you'd get in an Italian bakery. The recipe belongs to Dan Smith and Steve McDonagh, who you probably remember from the first FNTV Next Food Network Star program. I happen to be a fan of theirs. Their food is "doable" but fancy enough to impress. I first tried this recipe because an over zealous shopping expedition left me with a surplus of sesame seeds and I wanted to use them before they spoiled. The recipe was quick and easy to assemble and I was so pleased with the results that I try to keep a supply of the cookies on hand for my own enjoyment. The cookies improve with age, so I like to make them a couple of days before I intend to serve them. I toast the sesame seeds used to roll the cookies in. I think it adds an additional layer of flavor. If you prefer a paler cookie don't toast them. Them store well in an airtight container. I hope you'll enjoy them too. Here's the recipe. 2) Combine flour, baking powder and salt in a small bowl and set aside. 3) Put butter and sugar into bowl of a mixer and cream until fluffy. Add eggs, one at a time while mixer is running and beat until smooth. Add vanilla and beat. Add e flour mixture and beat until well incorporated. 4) To form cookies, divide dough in half and roll into logs 1-inch in diameter. Cut logs into 3-inch lengths. Dip each piece of dough into cream and then roll in sesame seeds. Place cookies on a baking sheet and bake until golden brown, about 15 to 20 minutes. Let cool and serve. These will keep in an airtight container for up to 2 weeks. Yield : 30 cookies. Sounds yummy! I'm always looking for sweets that aren't too sweet. It's been a long time since I baked cookies, but I just might try these. Thanks for sharing the recipe. Looks like the Chinese biscuits that I sent over to my wife's home during our wedding! LOL! It is almost lunch time here and I was thinking better pop in ti Mary and let me be hungry - and here i am hungry and need some food after those good cookies so I went to Kona Coast and I will get the grill out for tonight and have that in mind. They do sound wonderful with tea or coffee. I dont think I make biscotti often enough! I liked Steve and Dan, too. their recipes were elegant (they were caterers after all) but still easy (because they were caterers -- they couldn't "fuss" with recipes). I found and bought their cookbook at Maxx or Marshall's for a mere pittance -- LOTS of good recipes in it. This looks good -- I may have to buy a big package of sesame seeds and try it! Yum, I love sesame seeds. I always buy those sesame snaps when I see them in the store. A mild cookie or treat is my favourite kind. Perfect with tea. ps - I keep my seeds and nuts in the freezer, along with my bran and wheat germ. They won't spoil that way. oh my goodness, don't those look amazing ! Pete, welcome to One Perfect Bite. I loved the cake you baked with your daughter. I am so excited to have this recipe!!! Regina cookies are my husband's favorite. I have tried to make them but none of the recipes I have used are quite like the one he loves. Hubby loves to eat Reginas with his mid-morning coffee. I was actually heading out today to our favorite Italian market to get some of these cookies.Now, perhaps I'll bake them instead. Hey - I thought you were dieting? ;) I love sweets that aren't too sweet (unlike my husband), and this looks like a winner! sesame seed and honey candies are very popular at our house. We'll have to try this cookie recipe. These are wonderful! I love sesame seeds in things. I've haven't had them on biscotti, what a marvelous idea! Hi Mary. Those look very yummy. 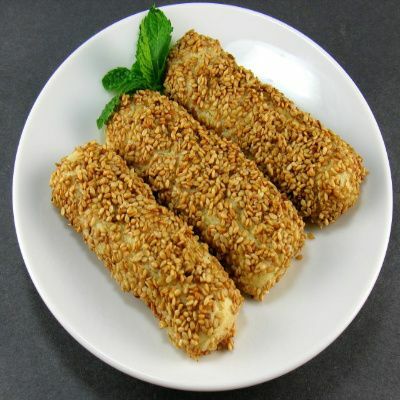 I'd love to make this and enjoy with my cup of coffee..
Those look absolutely delicious - I love sesame seeds! Isa, welcome to my blog. I hope you'll join us often. Have a wonderful day! But then, everything you make looks wonderful. Have a lovely day.. This reminds me of an Italian cookie (not biscotti) that my Italian sister-in-law makes. Yummy!! These look great Mary. I would so love to have one tomorrow morning with my coffee. How tasty. I've never had a biscotti like this before but I am sure I would really like it. Your biscotti are so perfectly made and the pictures are beautiful. We have a seed allergy here in this house, but me personally, oh yeah, I could eat several of these! Wow don't these look so good! Yum! 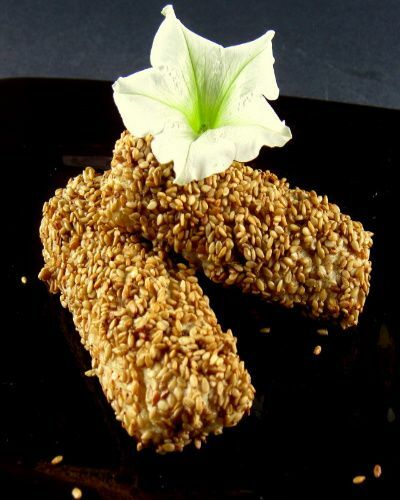 We all love sesame seeds and these would really be perfect with a cup of coffee.